Established in 2000 on Hollywood boulevard, this successful venture moved to the San Fernando Valley in late 2010 to continue the legacy. 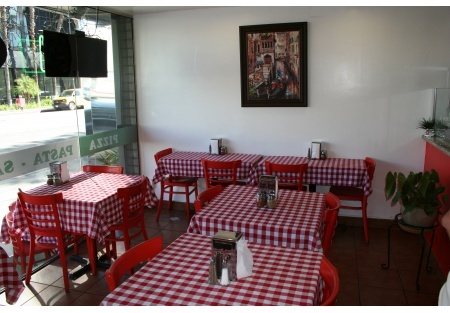 The Hollywood location was voted top pizza several years running and the Encino location uses the same family recipes. The Cafe is located in the heart of the Encino financial district and walking distance from from an affluent high density residential neighborhood. Extensive work was done to this storefront location inlcuding a hood system, grease trap and extra gas lines for future equipment expansion. East Village (New York) charm is the theme with bright red and white used throughout the interior and the quaint outdoor patio. Ilness forces sale and the owner is eager to retire and welcomes all reasonable offers. High traffic , high visisbility on Ventura Blvd.